There can be a lot of annoying sounds at the gym — from the constant whirl of the treadmills, to over-the-top grunts from nearby weight benches. Finding a pair of sports headphones that can block out all that racket is rare. The JBL Reflect Aware in-ear headphones use active noise-canceling technology to take out loud distractions, so you can work out in peace. 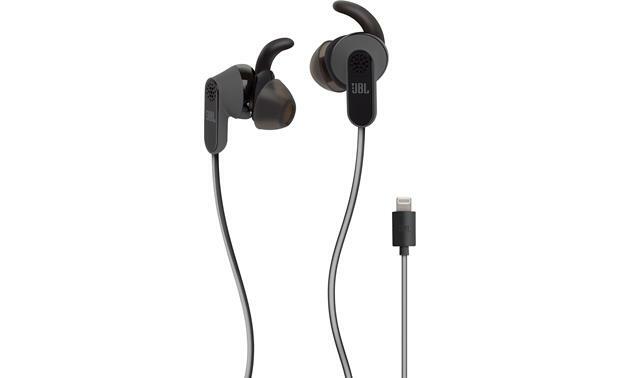 The JBL Reflect Aware sports headphones include a Lightning cable for Apple devices (no 3.5 mm miniplug). And no bulky battery will slow you down. These headphones draw their power from your iPhone® by connecting to its Apple Lightning port. That's also how they play music, meaning they'll be ready for the iPhone 7. Now of course, there are times you need to be aware of what's going on around you — particularly during outdoor exercise. JBL lets you control the level of noise cancellation via the free My JBL Headphones app, available for download in the App Store. You choose how much external sound the Reflect Aware 'phones let in, helping you stay alert while you bump your tunes. 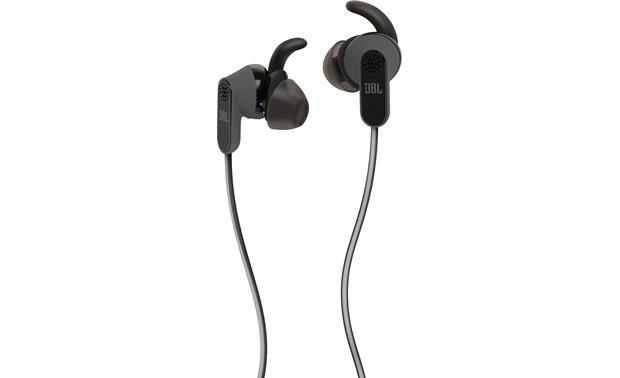 JBL's Reflect-series headphones have long been my go-to gift for family members who are into fitness. There are just so many things JBL does right with this line, starting with their highly visible design for safe outdoor activity. They are also sweat-proof, lightweight, and ergonomically designed to stay put. Plus you get six different sizes of ear tips to ensure you find the right fit. 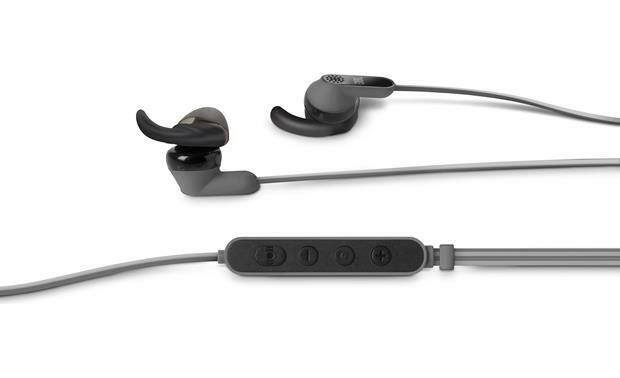 Three of those are JBL's flexible silicone sports 'buds that feel soft and comfortable for your entire workout. They're designed to avoid nerves and pressure points inside the ear that can cause pain or discomfort. On the reflective cable you'll find an Apple-friendly remote and mic. You can use it to control the volume and music, and even adjust the noise-cancellation (when the JBL app is open). If a call comes through, answer it with one click. Or ask Siri® a question without removing your headphones. You gain a little privacy on Facetime too, since everyone around you doesn't have to hear the other side of the conversation. 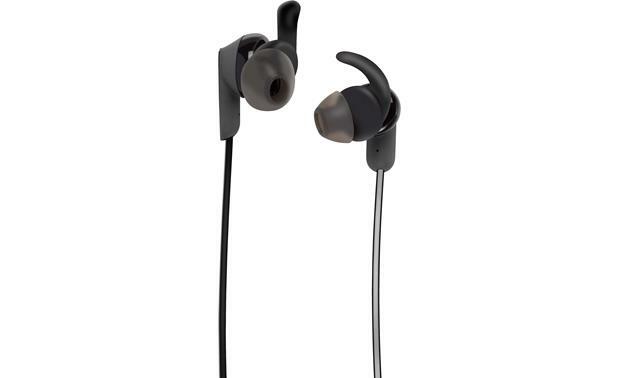 Earcup Width x Height 0.729" x 0.683"
Overview: The JBL Reflect Aware in-ear sport headphones feature Active Noise Cancellation and Adaptive Noise Control. These technologies allow you to totally shut out the outside world while you work out, or let it in. It is equipped with a 4' tangle-resistant reflective cable with an Apple Lightning Connector. The headphones come with 6 pairs of ear tips, and a zippered storage pouch. Drivers/Ear Tips: The headphones have 14.8mm Dynamic drivers with a wide frequency response (10Hz-22kHz). The package includes three pairs (large, medium, and small) of regular ear tips for normal headphone listening. 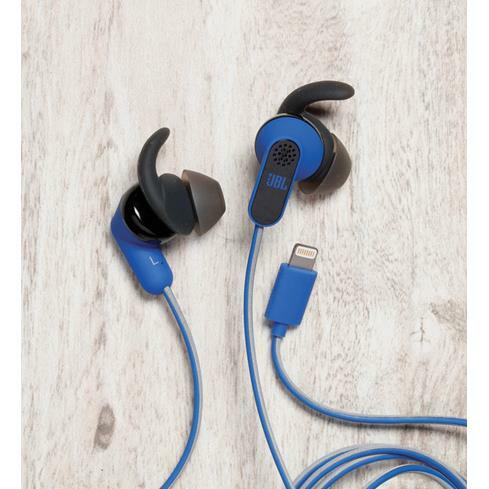 When you're ready to workout, the supplied Freebit ergonomic ear tips can be installed behind the regular ear tips. The ergonomic ear tips include a "wing" that tucks behind the folds of your outer ear to hold them in place during rigorous activity. The ergonomic ear tips also come in 3 sizes (large, medium, and small). Lightning Connector: The Reflect Aware headphones have a 4' long reflective cable, terminated into an Apple Lightning Connector. Because the Lightning connector provides power and digital audio directly to the headphones, no separate bulky battery box is required. The headphones are only compatible with Lightning connector-equipped Apple devices (iPhone, iPad, iPod touch) running iOS 9 and above. In-line Controls: The headphones have an in-line microphone/remote for controlling your phone calls, music, and Active Noise Cancellation/Adaptive Noise Control. Controls include Volume Up, Volume Down, Siri, Answer Call, End/Reject Call, Play/pause, Skip forward, Skip backward, Fast forward, Fast reverse, ANC On/Off, and Ambient Aware (Low, Medium, High, and Off). The in-line remote is 2-1/4" long and 7/16" wide. My JBL Headphones App: The JBL Reflect Aware in-ear sport headphone experience can be enhanced through the use of the My JBL Headphones app. The app offers control for the headphones' Active Noise Cancellation and Ambient Awareness settings. You can turn ANC on or off, and control how much ambient noise to let in (Low, Medium, High, or Off) to balance your awareness of your surroundings. In addition, there are three EQ presets, and a custom EQ setting. The My JBL Headphones app is available from the iTunes App Store, and requires iOS 9.0 and above. Searches related to the JBL Reflect Aware Noise-canceling sports headphones with Apple® Lightning® cable.